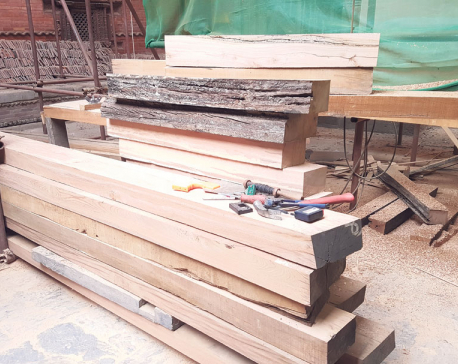 KATHMANDU, Jan 16: The government has said that about 47.9 million cubic feet timbers will be needed for the reconstruction and renovation of the physical infrastructures which were damaged during April 2015 earthquakes. A study stated such a huge amount of timber is needed in earthquake-affected 36 districts across the country. However, the department has been generating between 700,000 cubic feet and 1.1 million cubic feet timbers annually. A taskforce, formed by the Ministry of Forest and Soil Conservation to make recommendations on generating timbers for the reconstruction task, proposed that 36 districts need 47.9 million cubic feet timber for the reconstruction and renovation of public, private and historical buildings across the nation. Aryal said that they have prepared the study by analyzing the situation across the quake-affected 36 districts.